New York chanteuse, Sylvia Tosun announced her arrival in 2008 with the original release of her ethereal and seductive masterwork, ‘Underlying Feeling’. Propelled by the stunning Adam K & Soha remix, the track became a global dance floor hit, spending four consecutive weeks in the Billboard Dance Club Play Top 10. It peaked at #8 on the Beatport Progressive House Chart and hit #1 on the DMC World, UK, UK Club, World Commercial and World House charts. Now, on Black Hole Recordings, ‘Underlying Feeling’ hits dancefloors once again, with brand new remixes from Adam Ellis, Venice and Octave Up, as well as a newly remastered version of the classic Adam K & Soha remix. The Veniice, Octave Up and Original Club mixes are released on 7th Oct, with the Adam Ellis and Adam K & Soha mixes following on 31st Oct. All are available from Beatport or from Black Hole. Sylvia Tosun’s talent is undeniable. A winner of a coveted scholarship to the prestigious Juilliard School of Music in New York, her ability to write and sing with power and emotion struck a chord with dancefloors everywhere. Her track ‘An Angel’s Love’ is now recognised as a genuine trance classic and has been followed by a string of hits in this genre including, most recently, ‘Winterburn’ and ‘We Bring The Love’ with Andrew Rayel and ‘Believe In Everything’ with Talla, 2XLC & Binary Finary. ‘Underlying Feeling’ was the first collaboration between Sylvia Tosun and producer / songwriter, Anton Bass. Its success paved the way for the launch of their co-owned indie label, Sea To Sun Recordings, as well as an ongoing, nine year partnership which has produced many notable releases for Sylvia Tosun, as well as the promotion and development of numerous other artists. The original ‘Underlying Feeling’, a deep and sultry dance track, took inspiration from a dictionary definition of love, discovered by Tosun and Bass, that described ‘a sense of underlying oneness’. The 2016 remixes are sure to reignite this special track and introduce it to a new dancefloor generation. Split over two releases, first up is one of LA’s hottest new names, Veniice, whose recent single ‘Coming Undone’ saw support from Armin Van Buuren, Ferry Corsten and many others. He takes a different direction with ‘Underlying Feeling’ delivering a fresh, new dance music sound; a sun-drenched remix that brings a new warmth to the original vocal. Combining influences from chillwave, ambient and tropical house, with sublime guitar soundscapes, the Veniice mix delivers a mature and unique sound, sure to gain much attention. Octave Up takes a different creative approach, manipulating the vocal into a new melody as he drops an uplifting tropical house mix. His version is full of big moments and sure to find favour with fans of the genre. Also released with these remixes is the original club mix, a quality house music production that sounds as relevant now as it did then. 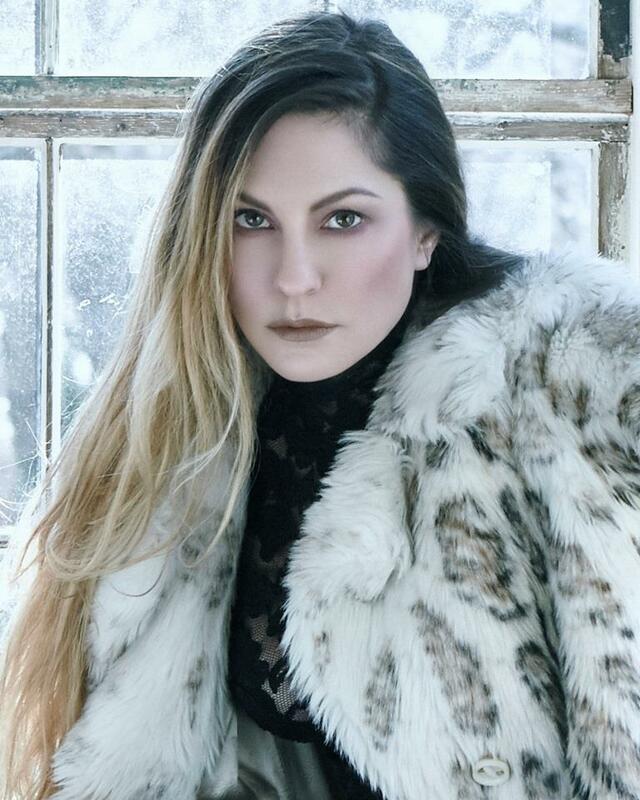 Sylvia Tosun has firmly established herself as one of electronic music’s leading female voices. As she moves forwards to her latest projects, the 2016 remixes of ‘Underlying Feeling’ are a chance to savour new perspectives on a classic track.